We have recently returned from 11 nights at the Kalidonio. We had a really great holiday. The owner, sorry I can't spell her name and her sister, Maria ensured we had a lovely time. They together with young Maria and Nana made our 3 year old daughter, Ella, feel very at home. She was very sad to have to come home. The rooms are basic but extremely clean and we had our sheets and towels change about 4 times over the 11 nights. This was our 8th time in Kalamaki and 2nd time at this accomodation, coming previously in 2005, Have not been to Kalamaki since 2007 but this visit reinforced our affection for the Island and the resort - it always feels like we are returning home - this is mainly due to the friendliness of the Kalamaki locals. I hope the ecomomy improves and things get better for all of Greece. We have stayed at Kalidonio for many years and would not consider anywhere else. The apartments are very roomy and are maintained in spotless condition, as is the whole complex. Perfect location in one of the quietest spots in Kalamaki. The family owners are very friendly. Nice pool bar serving snacks and we only wish that guests would patronise it much more rather than going to more expensive, and often inferior, eating places. Cannot understand why people stay there yet will not support the facilities on offer. Excellent choice for anyone wanting a quiet relaxing holiday. These studios are excellent and we would definitely stay there again.Everything we needed for a relaxing week away.The rooms and pool were spotless.Hope to return again next year. The Tour operator is Thomson and it can be booked on the net I have just booked for September. We were in Kalamaki in June and Babbis from The Iguana describes it as the 2nd best hotel on the island. Don't know about the pool though as it was full when we saw it. The rooms have Microwaves as well as Greek TV, fridge, 2 ring cooker and electric kettle. There are 35 room for 2 to 3 persons all facing the pool. My daughter and I are just back from a week at the Kalidonio we had a really good holiday the apartments are basic but spotless clean, and only ten minutes from the airport by taxi. We booked on the Internet direct with the owners. Anyone who has booked to stay at Ionian Blue- which tour operator did you use or did you book it direct? We are staying at the Ionian Blue too, going on 21st July, apparently there is a problem with the pool, so there is no water in it at the moment, but people are being told they can use the pool at the Kalidonio. 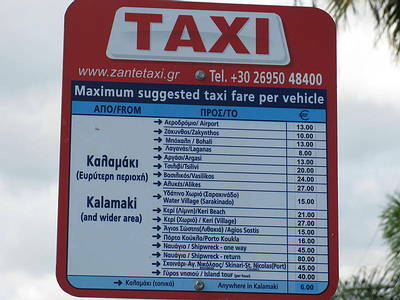 Here is the web address: www.zanteweb.gr/zakynthos.zante/en/ionion-blue Hope this helps. I am not a hard person to please when it comes to accomodation on holiday, but I must say, I was quite dissapointed with the Kalidonio Studios. They were very basic, which in itself was not a problem, but I was not convinced that the sheets were ever changed. The moscito bits on my leg that I woke up with every morning were proof of that! Once we bought a plug-in mossi killer thing, I was fine! Thanks to one gentleman that had spotted the state of the bites on my legs who was nice enough to come to my rescue with a fantastic "Magic Anti Bite Stick"! Saying that, the location of these apartments was great, a short walk to the town so noise was limited. The food at the pool bar was very good and reasonably priced. We visited for a fortnight in September 2004 - see the three photos that I have uploaded. Everything was fine and I would recommend this accommodation to anybody. The staff were all very friendly and helped me practice my Greek! The only other observation that I would make is that it is up to a ten minute walk to the beach and also to the main shops and most other places. This is good in the sense that it is quiet, but not so good if you get caught out, as we did, in a torrential downpour that started while we were eating in Kalamaki. When it rains there, it doesn't bother with drops: it is more like a waterfall! It does clear up quickly, though. The apartment was very clean and the rooms lovely. is it near venus and exotica? is it further to them than dennys inn? In answer to Lu ce, nearest bar was Iguana, small sports bar or Drunk Corner a few mins walk. Nearest restaurant Escape (if you dont mind the cats wandering around your feet) food nice, served in small garden or inside. Not much going on for teenagers apart from pool tables and TV shows. Pedalos on beach but no water sports. Smugglers Cove boat trip not good value but Island tour by coach was. (additional charge for caves boat trip 7 euros - worth it). Eurozante coach rep very informative. But meal at Taverna not very nice. Just returned from a holiday at the Kalidonio. Booked on line with Direct Holidays with free child place and �80-00 on line discount. While the apartments were typical basic standard in Greece (no shower curtain, no kettle but did have fridge and small stove). They were very clean and comfortable. Staff very friendly, poolside bar swimming pool good. Breakfast and snacks reasonably priced. Location on a quiet dark road half way between beach and main street. There is no entertainment but other hotels welcome you to Greek nights, Sky sports and films. Excursions booked on the main street were cheaper than through tour rep. Eg. Boat trips 13 euro. rather than 20 euro. If going again with kids I would try Hotel Venus or Siccoco. can anyone tlel me whereabouts these apartments are situated? near which bars? I have booked to go to Kalidonio in May 05 for two weeks with my husband and 17 year old son. Is there enough here for him to do and can someone please let me know the cost of boat trips or any other trips he may be interested in. We stayed there between 26/08 and 02/09. It is in the perfect location being half way between main street and beach. Nice big room for the three of us with a good sized balcony. very basic bathroom and kitchen area. Kept very clean - floor moped and bins changed every day. Towels and bedding were also changed during stay. Just come back from a week at the Kalidonio Studios with Airtours/My Travel and the studios/apartments are good. Very short distance to walk into town to the main bars & restaurants and shops etc. Small supermarket within very short walking distance. 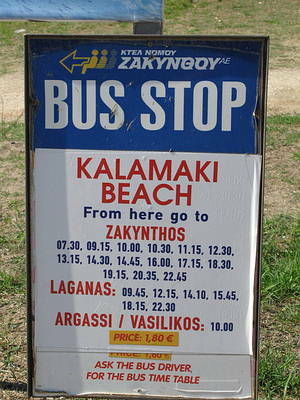 Kalamaki Beach approx. 15-20 mins walk. - very nice beach clear water, shallow for distance into sea. (Kristal Beach few mins further) Pool good - clean etc. Pool side bar/snacks. Accommodation was very quiet in evenings as is far enough away from bars etc. Staff v. helpful. Laganas a short taxi/bus/car ride (5-10 mins). Resort and accommodation is good for families with kids and also couples and singles alike!! Please can anyone tell me if the Kaladoio studios are up and running? We are due to go on 26th Aug 04 and we cannot find any photos or any comments from anyone thats actually stayed there. We are rather worried about this. I have just received the Summer 2004 brochure from Direct Holidays and I notice that the Kalidonio Studios are in there again. I did book to go there last year but when they went over to Golden Sun, Direct Holidays offered me another apartment or my money back and I took the refund. I have already booked to go elsewhere for 2004 otherwise I would have booked the Kalidonio. Hope they now stay in the Direct Holidays brochure. I haven't actually stayed at the Kalidonio as yet, but I know they have an excellent location along a quiet road, but not far from bars, restaurants, supermarkets, etc. A short update on the previous remarks. The Direct Holidays brochure I requested has arrived. It is the 2nd edition and guess what ? ? ? the Kalidonio is still not in it Have we been here before I wonder?